Caution! Shell collecting may become addictive! There will be a bunch of interesting shells as well as some fun shell related activities. Bring a dish for the potluck and your checkbooks. We will also discuss other Shell Club business at our Annual Meeting. Map will be sent out with the monthly announcement. If you decide to take the train out, come to the Crystal Lake Station. Let us know and we will pick you up. 5801 N. Pulaski Rd., Chicago, IL. Leslie will show many beautiful postage stamps from around the world with seashells and land snails on them..
9200 W Cermak Rd. (@17th Ave.), Broadview, IL. St. Nick and Neptune Party, Banquet and Auction. Don’t miss one of the country’s best silent auctions of shells! Make reservations for the banquet and auctions or come just for the shells and the camaraderie. Lee & Jan will show magnified pictures of amazingly beautiful shells that are too small to see with the naked eye. 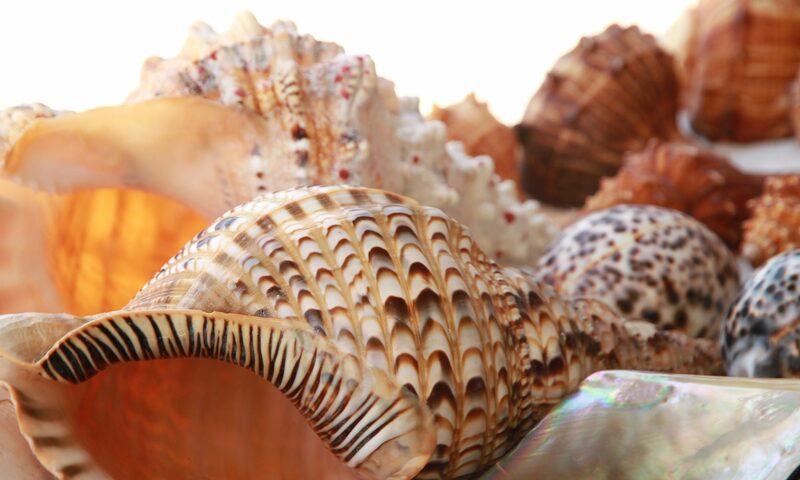 You will be able to see the actual shells and the magnified views to see the fantastic beauty of these little shells. The talk will be about the color, pattern and form variation in which many species of marine and land shells can be found, with a bit of discussion about taxonomic issues when names are applied to variations of species. Dr. Watters will share with us his efforts to protect the freshwater clams around the United States. Everett will be talking about his trips to Fiji and Vanuatu and our planned trip to Panama in 2020. There will be a bunch of interesting shells as well as some fun shell related activities. Bring a dish for the potluck and your checkbooks. We will also discuss other Shell Club business at our Annual Meeting.